I won a Daryl Wong speargun in the Hell Divers Rodeo 2006, the gun was beautiful and I put it in my game room in a corner for everyone to see but to never be shot. At the rigs off the coast of Louisiana the guns we use always have to have bone crushing power. Then one day in the late fall I was having trouble getting the right shots on fast moving cobias. Before that next trip out, I rigged the Daryl Wong speargun with a Hell Divers riding rig, screwed the tip on and was ready to go. 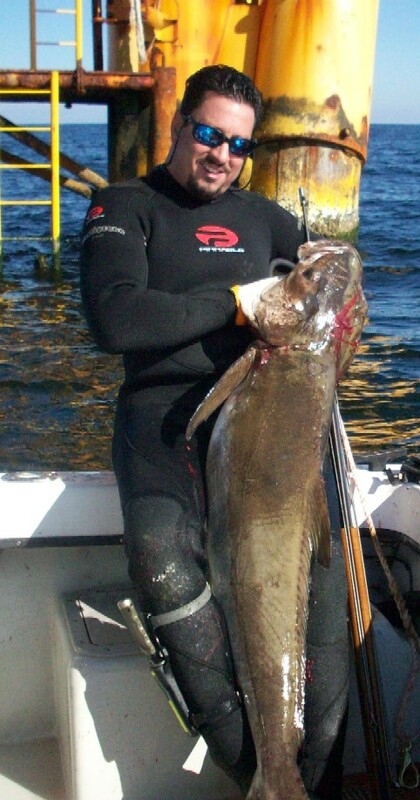 My first dive with the Daryl Wong speargun, I had a 50lb. 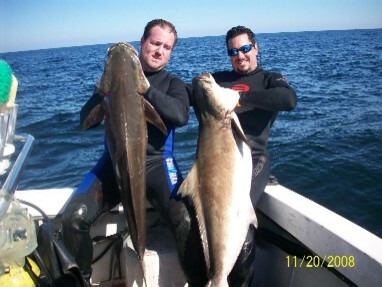 cobia swimming right under me, I shot him right thru the top of his head and the fish never even twitched. 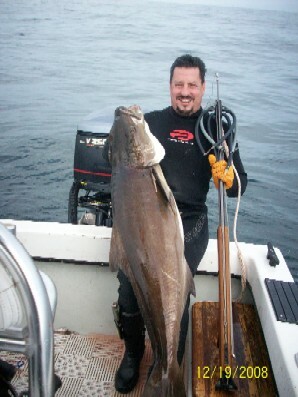 The next dive I had a 60lb. cobia swimming away and from about 20' away I nailed him right behind the head and the shaft came out the other side, the fish was toast. The accuracy was awesome and my confidence was boiling. The next day, I had a 57lber come up right behind me, I was surprised at how fast I could swing the gun, and the fish didn't even spook when I did, I thing it's the paint job on the barrel. I hit the fish right thru the head and the entire shaft came out the other side. The fish just rolled over dead. That gun was a 55 hybrid, I guess some days it's just better to have accuracy rather than bone crushing power. 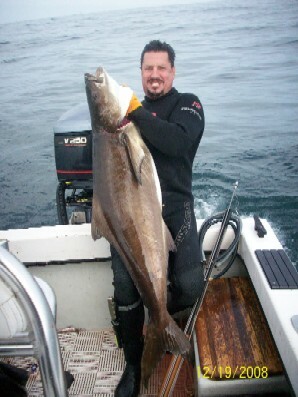 This is my biggest one yet with your gun, 3 of them came in, I let the first 45lber pass then the second, then the big one came in, I hit him high in the gill plate and took out his spind. He had that blood streaming from his head like a fighter plane going down. He never moved. This ones 64 lbs. and second this year in the Louisiana state competition. 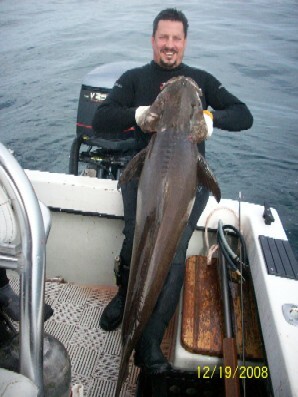 64.7 is first, shot off my boat the trip before. To tell you the truth, since I used your gun that first time, I haven't picked up another gun yet. I love the popping sound it makes when it goes off.